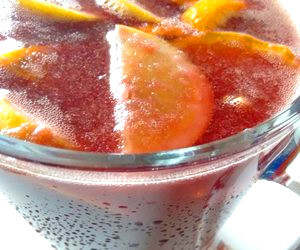 Red wine, soda (orange is best), seasonal fruit, sugar and ice, are the ingredients of red wine Sangria, but stopping there wouldn’t be very accurate. If we don’t get into the subtle nuances and make clear the proportion of ingredients, we can’t be sure we’ve achieved the perfect Sangria recipe. But keep reading and you’ll get it! Yes, supermarkets sell many brands of red Sangria, but the vast majority are extra sugared industrial preparations that are real far from the concept of Spanish Sangria. So, what is Sangria? If we’re determined to make an authentic Sangria, the first thing we have to know is that the word "Sangria" is related to the color of blood. Therefore, there’s no white Sangria in Spain, or it’s not accepted, at least, as a kind of genuine Sangria. 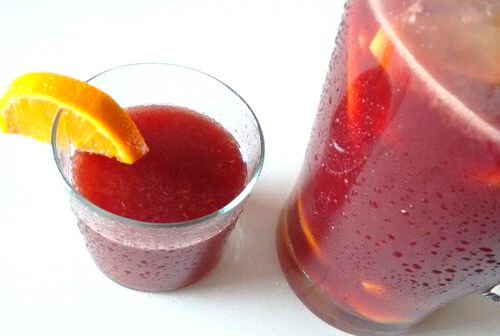 There’s a key aspect: any Sangria recipe must have fruit in it if the drink obtained is to be called Sangria. And not just any fruit in any condition. If it doesn’t contain fruit, instead of Sangria, it would be called homemade wine, or wine with orange. So, now we’ve just swept away all the sad examples of industrial Sangria. We are, therefore, only dealing with all the Sangria recipes that use well chosen fruit. But that’s not all. The choice of Sangria wine and the rest of the ingredients is fundamental if we want to make a quality drink. Surely, wine connoisseurs would consider it an attempt against humanity to use a wine of a certain vintage to make Sangria. But between a vintage wine and a box wine there’s a world of wines that are sold at a reasonable price, which are perfect to make Sangria. 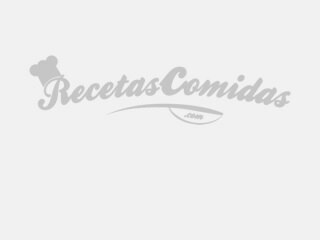 The best wine for Sangria can be, therefore, any decent red wine that anyone could serve in a glass and enjoy without mixing it with anything, although the ideal, being a Spanish recipe, is to use a Spanish wine. As we’ve said, not everything that’s called Sangria is Sangria, and among the well-known Sangrias, there are those at the bottom of the pile, and there are excellent ones. And we want to achieve excellence in our red Sangria recipe. Mix the wine with the Fanta in a cold pitcher. Add the sugar and stir with a long teaspoon until completely diluted. Peel the peaches, cut the flesh into medium-sized pieces, and add them. Juice one orange and add it. Wash the other orange and the lemon very well, cut them into slices, and then cut each slice in half. Add them. Let the fruit and wine become friends for at least 1 hour in the refrigerator. As you can see, the Sangria recipe is basically reduced to mixing the right and necessary ingredients in their more or less exact proportions, and always considering the quality of the end result. On the other hand, although only the red wine Sangria is considered by Spaniards as an authentic Sangria, if you’re clear that you might prefer white wine Sangria because you like white wine more than red wine, you’ll have already worked out that the white Sangria recipe simply varies from the official one by using white wine in place of red. Whether you end up making a red Sangria, or if you finally decide to use the white wine Sangria recipe, a very important detail is that all the ingredients of the Sangria have to be cold to avoid having to add ice. If there is no choice, you can add ice, but it’s an avoidable evil that, if used, ends up watering the whole thing down and ruining the last drinks of Sangria. Giving the fruit of the Sangria to curious children is a custom in Spain that can be dangerous if it’s done to excess, taking into account that, in the same proportions, the fruit soaked in wine may contain more alcohol than the Sangria itself. Therefore, it’s advisable that if you want your kids to enjoy the fun too you can give them their own non alcoholic sangria (alcohol-free Sangria), which is done just like the Sangria for adults, but using grape juice instead of wine. 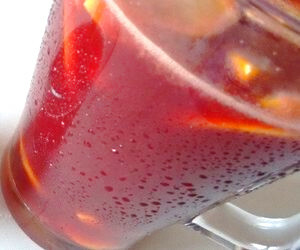 The result is a very healthy refreshing drink, rich in antioxidants. Is Sangria really the drink of the gods? What are you waiting for to find out by trying this really easy Sangria recipe? Let's propose a toast to Spain!